One of the great things about being in the DotNetNuke community is meeting new people. I’ve had the pleasure of meeting a couple of folks from all over the world. Recently, I finally met a couple from North Carolina that are co-leading a DNN user group there. 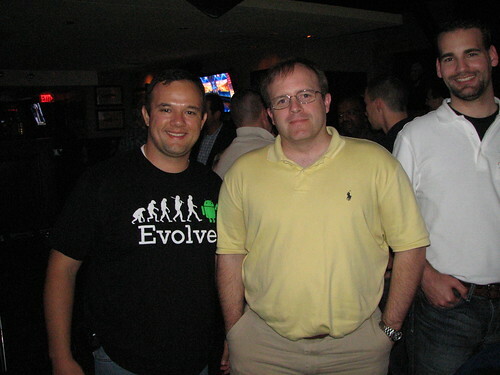 I’d known them for a long time, but never met them in person until the Day of DotNetNuke in Orlando. The QCDUG has been around for a little over a year, but it’s really been picking up over the past few months. They’ve gone from a concept, to getting a venue, to outgrowing their venue, to having regular meetings in no time at all! Now, they meet in a very centrally located venue, allowing people from all over the Carolina’s and even further to attend their meetings. When they first approached me online, they had all kinds of concerns about how to get started, how to hold a meeting, where, what formats, sponsors, and so on. These are typical questions that any new, and many existing user groups have. Afterward, they hit the ground running, and now they are even bringing in a high-profile speaker at their next meeting! The second most popular “Will” in the DotNetNuke community (inside joke) will be showing the good folks at the QCDUG a preview of DNN 6. If you’re in the area, do not miss this! Get more information about the meeting on their DNN user group page.